Eltham MP Clive Efford experienced what is involved in delivering the post when he joined local postman Matt Russell on his delivery round in Eltham today. The visit gave Clive a unique insight into the challenges of delivering mail to every house and business in their constituency, six days a week. Clive Efford MP said: “It as fascinating to see the work that goes on behind the scenes to deliver the mail on a daily basis, and the way the mailbag is changing. 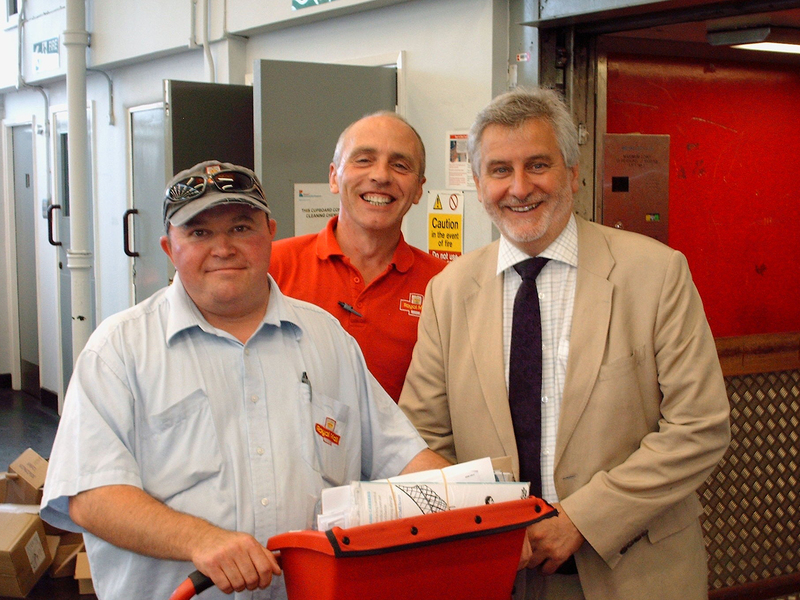 Grant Smith, Royal Mail Delivery Manager, who briefed Clive Efford MP before he set off on his walk said: “We’re delighted that Clive Efford MP is taking the time to experience the every day challenges faced by our delivery postmen and women.